Kiyomi Lim's Site. : KOSE IS LOVED ! How many of you actually missed me? or say... missed my posts? I really really miss blogging. I have so so so many things to say and tell you all. I realised, my blog isn't just about me, but everyone reading this space now. Today will just be a quick post on KOSE's event that's coming up this coming Saturday. It will be 2 sessions, 1 on 2nd June and 1 on 3rd June! However, please do come on 2nd June instead as there will be free samples for you all if you come early! The event will be hosted at the Atrium of Tampines Mall. 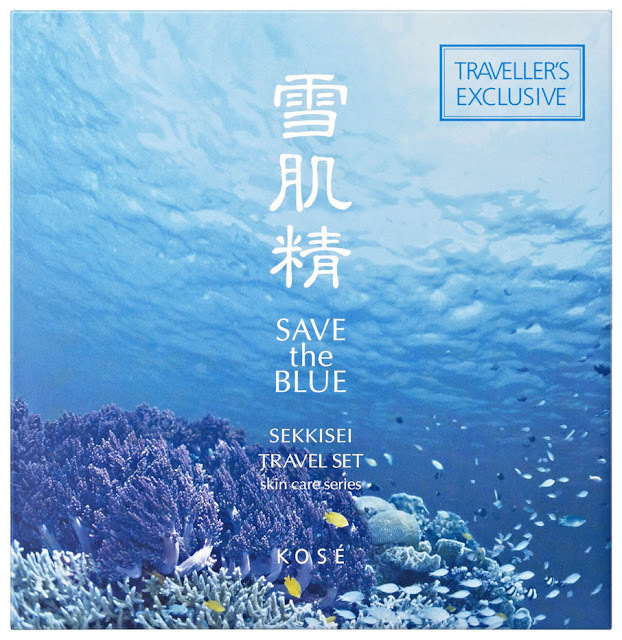 You will get to know more about KOSE and their SAVE THE BLUE campaign. Let's all be part of this awesome campaign! Do support! First 500 people will get it! So please do come early! Or you will miss the free gift! I will blog more to tell you guys more about "Save the Blue" soon! It's really really important so please so support! & the event will be hosted by Lee Teng! So what's there to miss this chance!